J-14 New Moon Countdown: 13 Days to Go — Nikki Reed Spills About The Twilight Guys! For today's exclusive J-14 New Moon special, we chatted with Nikki Reed who plays Edward's beautiful sis Rosalie and got her to dish all about the guys in her Twilight vampire family! J-14: When fans tell you they want to marry Rob, do you pass along the proposals? Nikki: Rob's got a list of a million 12-year-olds waiting to marry him! If all else fails, he has a lot of options! J-14: Did you guys expect that the fans would be this crazy? Nikki: No! And it's not just Rob — that's the amazing thing. All the boys in this movie — the fans just go crazy for all of them. Sometimes Kristen and I just want to be like, "we're so sorry we're not the boys!" J-14: If you had to come up with one word to describe each of the vampire guys in your movie fam, what would it be for Kellan? Nikki:: Hmm, yeah, Rob's complicated! 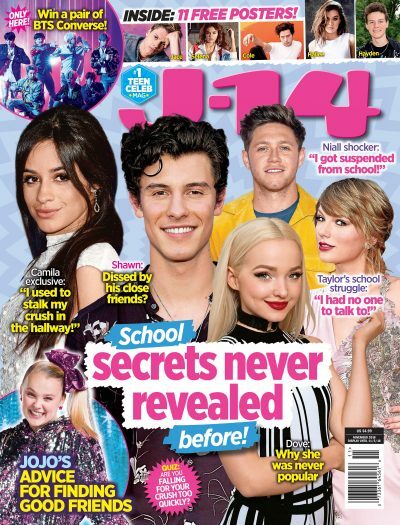 J-14: Is there a story behind that? Nikki: One that I shall not speak of!